The City of Oneonta, NY, is working to fight the noticeable influx in poverty amongst its residents. Oneonta has a population of 13,862 people with a poverty rate of 29.5 percent, according to Data USA. This is a significant number of people living in poverty when considering the number in Oneonta is higher than the national average of 14.7 percent. As college students, who live in the comforts of residence halls or apartments and go onto Main Street to spend time with friends at popular bars and restaurants, it is easy to overlook the poverty that exists within the community. “The largest demographic living in poverty is female 18-24, followed by male 18-24, and then female 25-34,” points out Data USA. When distinguished by race, white people have the highest poverty rate in Oneonta. When it comes to deciding who is considered to be impoverished, the Census Bureau explains, “if a family’s total income is less than the family’s threshold than that family and every individual living in it is considered to be living in poverty.” Each situation is assessed by individual incomes. Opportunities for Otsego was founded in 1966, and has been working to encourage economic prosperity and healthy lifestyles ever since. There are several programs offered to the public including Early Head Start, Head Start, Emergency Housing, and Wheels at Work just to name a few. There are also programs aimed at improving the homes of low income families such as the Weatherization and Home Repair and Rehabilitation programs. In addition, Opportunities for Otsego has a violence intervention program for those who need it. Another organization working to combat poverty is the Family Service Association, established in 1909. According to the Family Service Association website, “The mission of the Family Service Association is to support individual and family strengths and to assist area residents in meeting their own needs.” Located on Chestnut Street, this non-profit agency recycles everything that comes its way. This agency also offers several core programs including Emergency Services, a parenting program, and clothing program. Through these programs, people can gain assistance in areas such as housing, hygiene, and receiving medication. The Family Service Association doesn’t exclusively help people who are below the poverty line, but helps the working poor as well. 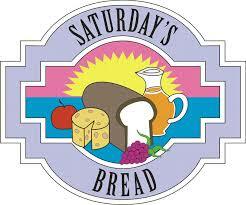 In May of 1992, a program called Saturday’s Bread opened its doors to serve the Oneonta community and surrounding areas. Saturday’s Bread provides hot meals 52 Saturdays per year in the cafeteria of the First United Methodist Church located on Chestnut Street. The program is run by a team of volunteers who prepare and serve meals. The community’s efforts to make sure that everyone has access to a meal does not go unnoticed. Businesses including Price Chopper, Panera Bread, and Hannaford donate food every year and a volunteer to pick up food from the grocery stores. According to Terwilliger, the first Saturday that Panera Bread was open in Oneonta, the staff sent over vegetables, bread, and pastries. There is also noticeable support from the colleges: Greek life organizations and clubs such as Habitat for Humanity regularity volunteer. When it’s not a Saturday, people in need can find a meal and warmth elsewhere. The Lord’s Table offers meals Monday through Friday, and the Salvation Army offers meals on Sunday evenings. In February 2018, Saturday’s Bread was recognized by the Daily Star for not missing a single Saturday since its opening in May of 1992. “Meals served have exceeded 420,000. Those working to serve the meals have been counted at 22,800” according to the Daily Star. These numbers reflect the amount of people who are working to make a difference in their community. The level of support for the hungry is overwhelming. As a college student myself, I believe that we should be more aware of the poverty problem in Oneonta and the organizations that help to combat it. 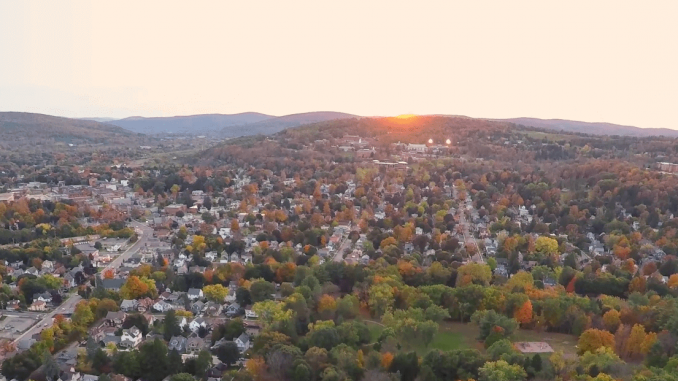 The city of Oneonta is a place that we call home for nine months out of the year and with some volunteering, we can change the community for the better.